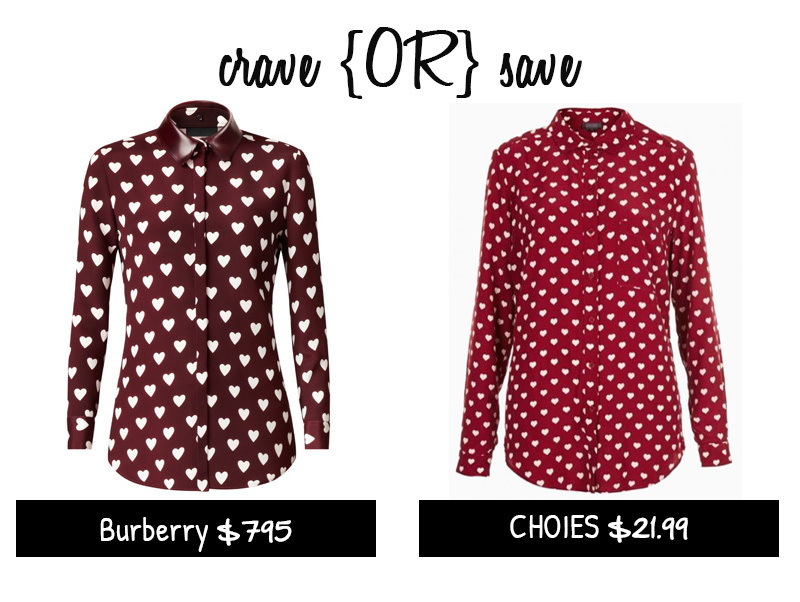 This Burberry heart print shirt was a huge success and quickly sold out. The burgundy shade is just perfect and the rubber collar makes it more modern. The Choies replica has a lighter color and comes with free shipping.